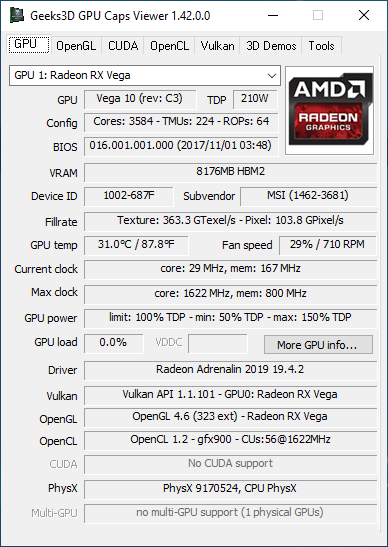 Installed on Win10 + Radeon RX Vega 56. 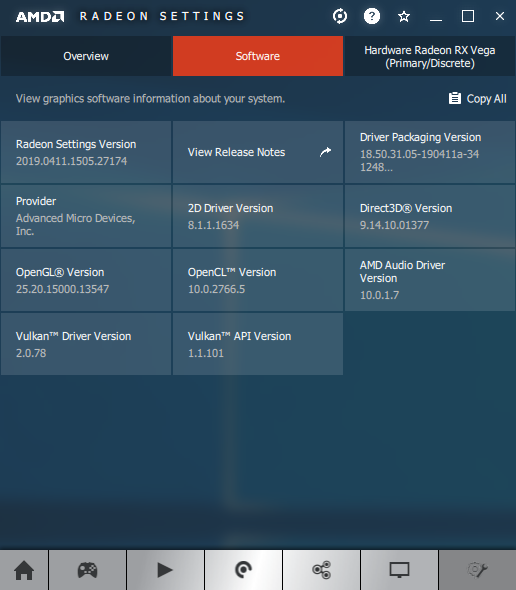 This driver exposes Vulkan 1.1.107. I did a test with your command line and the FurMark-Scores.txt file is correctly updated. Could your try to run your command line with admin rights? * Update release number to 107.
subpass self-dependencies>> less restrictive (public issue 777). `<<VK_KHR_win32_surface>>` in `vk.xml` (public pull request 849). and publish at present (public issue 949). being applied to (internal issue 779). increasing legibility (internal issue 1611). fixing some issues with refpage generation (internal issue 1630). * Update contributor list for `<<VK_EXT_calibrated_timestamps>>`. Windows under Python 3.5 (internal merge request 3107). section (internal merge request 3108). the corresponding extension appendices (internal merge request 3112). The focus of this document and the provided code is to showcase a basic integration of ray tracing within an existing Vulkan sample, using the VK_NV_ray_tracing extension. Note that for educational purposes all the code is contained in a very small set of files. A real integration would require additional levels of abstraction. Machine learning harnesses computing power to solve a variety of ‘hard’ problems that seemed impossible to program using traditional languages and techniques. Machine learning avoids the need for a programmer to explicitly program the steps in solving a complex pattern-matching problem such as understanding speech or recognizing objects within an image. NVIDIA aims to bring machine learning to Vulkan programmers though the Cooperative Matrix vendor extension. Machine learning-based applications train a network of simulated neurons, a neural network, by feeding it a large number of examples and then giving feedback on the generated responses until the network achieves a desired task. This is similar to teaching a human baby to recognize words and pictures through reading them picture books! Once trained, the network can be deployed in an application, fed real-world data and generating or inferencing useful responses in real-time. The amount of compute power needed to run a trained neural network in real-time is intense and parallelizable. This is why the compute power of GPUs substantially accelerate inferencing on many platforms that have a GPU available, from mobile phones to supercomputers. These applications often call into a software inferencing engine highly-optimized to run the necessary inferencing calculations through the GPU as quickly as possible, such as NVIDIA’s TensorRT. The latest generations of GPUs, such as those based on NVIDIA’s Turing and Volta architectures, even have dedicated processing blocks to run those inferencing operations significantly faster than using the traditional processors found in previous GPUs. - GL_VENDOR: ATI Technologies Inc.
Geeks3D's GPU Tools / Re: FURMARk frametime spikes normal? VSCodium is a clone of VSCode without Microsoft branding / telemetry / licensing. VSCodium is based on the same source code than VSCode but some flags are set to false during compilation to disable some features like telemetry. VSCode is a powerful advanced text editor developed by Microsoft using the Electronjs framework. Microsoft then distributes its own ready to use binaries called Visual Studio Code on the official project website. When we [Microsoft] build Visual Studio Code, we do exactly this. We clone the vscode repository, we lay down a customized product.json that has Microsoft specific functionality (telemetry, gallery, logo, etc. ), and then produce a build that we release under our license. The VSCodium project exists so that you don’t have to download+build from source. This project includes special build scripts that clone Microsoft’s vscode repo, run the build commands, and upload the resulting binaries for you to GitHub releases. These binaries are licensed under the MIT license. Telemetry is enabled by a build flag which we do not pass. Peek into the future of real-time computer graphics with “Reflections,” the first demonstration of real-time raytracing in Unreal Engine 4 using Microsoft’s new DXR framework and NVIDIA RTX technology. The Reflections demo illustrates the next-gen experimental lighting and rendering techniques in Unreal Engine, developed in collaboration with NVIDIA and ILMxLAB. * Update release number to 106. * Add searchbox and generate search index for the chunked HTML target. the `chunked` target (public issue 578 / internal issue 1352). were repeated in the valid usage statements (public pull request 648). <<copies>> chapter (public issue 942). statements for flink:vkCmdClearAttachments (internal issue 1583). external Khronos Data Format Specification. 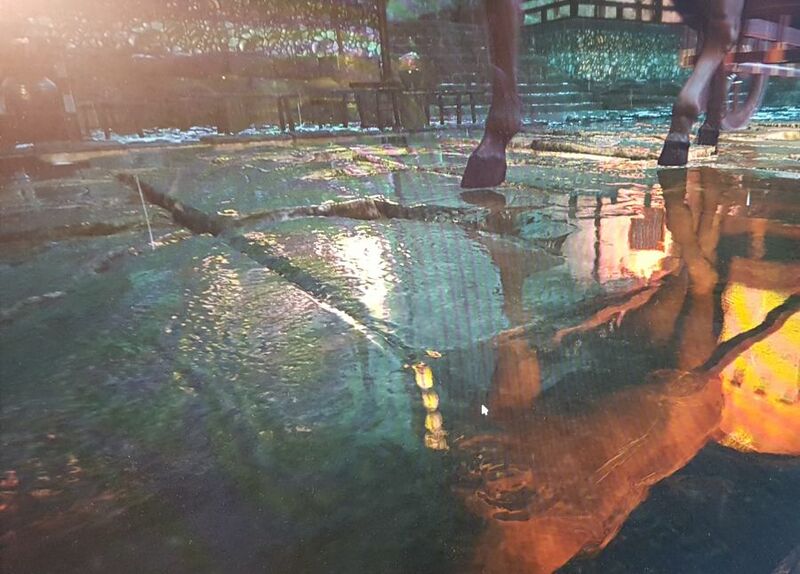 Justice is one of China’s most popular MMOs, and now you can download a tech demo that demonstrates how NVIDIA RTX Ray-Traced Reflections, Shadows, and Caustics can enhance to the game’s graphics, and how NVIDIA DLSS accelerates performance. 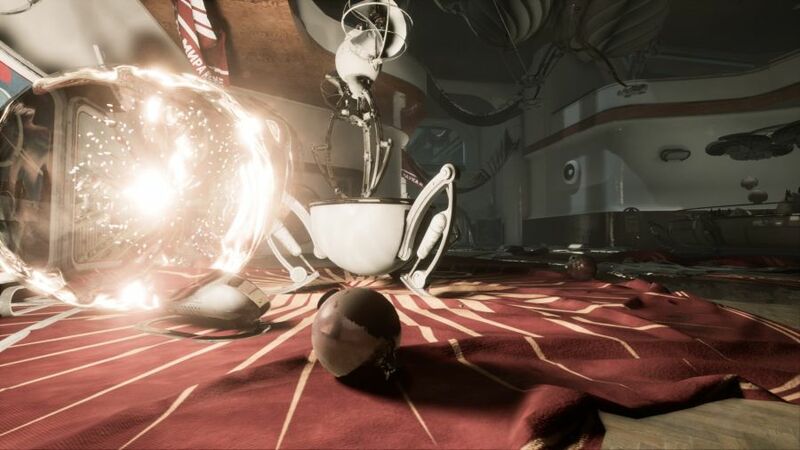 The Atomic Heart RTX tech-demo showcases DirectX Raytracing reflections and shadows, as well as NVIDIA DLSS. This demo is based on Unreal Engine. Atomic Heart is a visually-arresting Unreal Engine 4-powered action game, in development at Mundfish, blending USSR-era design with robotics, creepy mannequins, and a whole load of weirdness. 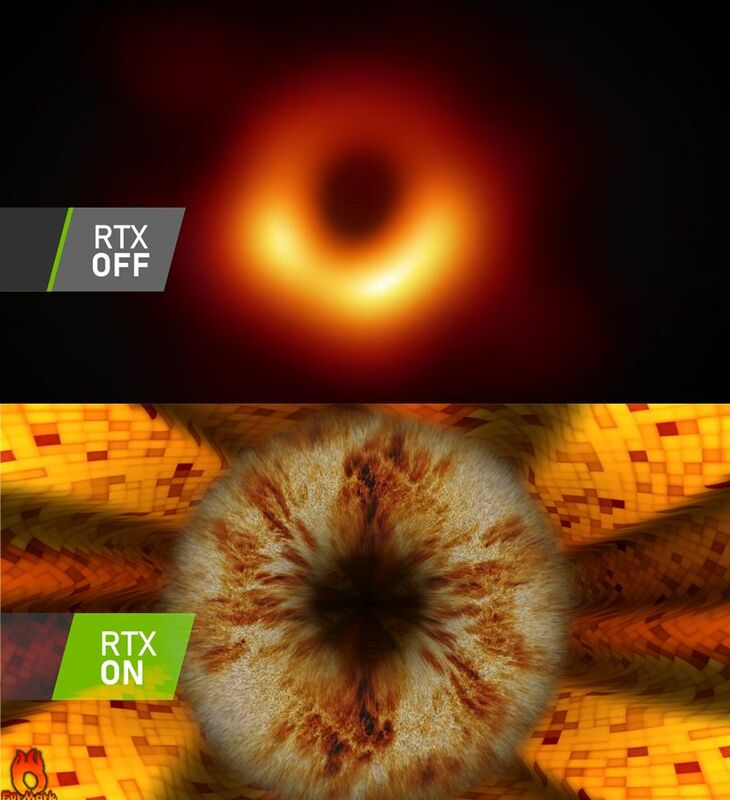 This is all enhanced by advanced NVIDIA RTX Ray-Traced, Reflections and Shadows, all running at high-fidelity and accelerated with NVIDIA DLSS, creating effects and scenes that were previously impossible to render. The 4GB demo can be downloaded from this direct link or by visiting the following page: ATOMIC HEART RTX TECH DEMO. - Includes support for DirectX Raytracing (DXR) on GeForce GTX 1060 6GB (and higher) and GeForce GTX 1660 (and higher) GPUs. 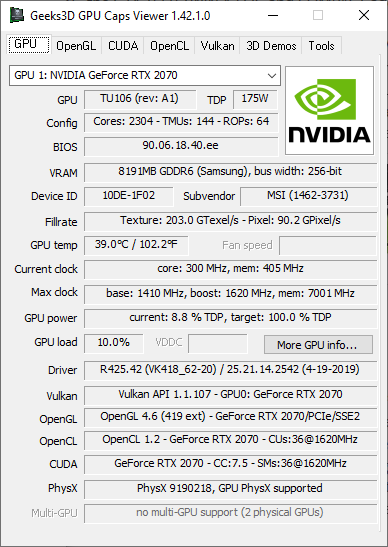 GRD 425.31 exposes OpenGL 4.6 (419 extensions) and Vulkan 1.1.95 for a GeForce RTX 2080, like previous drivers. /allow_screen_saver to allow screen saver/blanking and sleep mode. 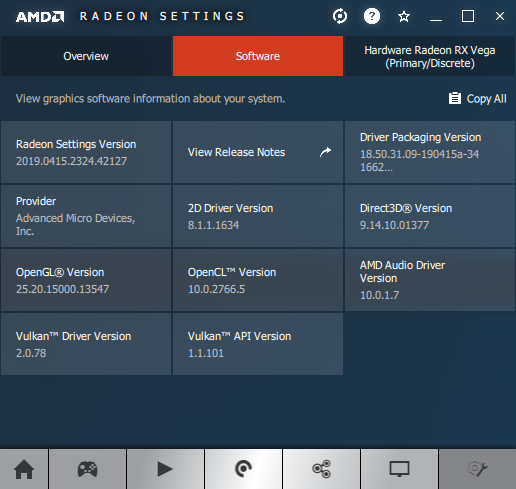 + added partial support of AMD Radeon VII.
! 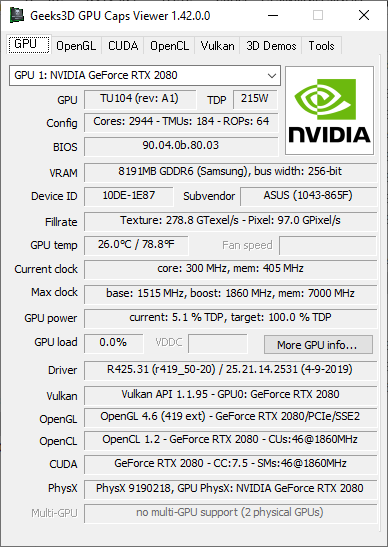 updated: ZoomGPU 1.23.0 (GPU monitoring library). Another option is to run GeeXLab. Run GeeXLab for Windows once, close it and look at the content of the log file (_geexlab_log.txt). Maybe you will find some interesting info. A new version of H4shG3n has been released. 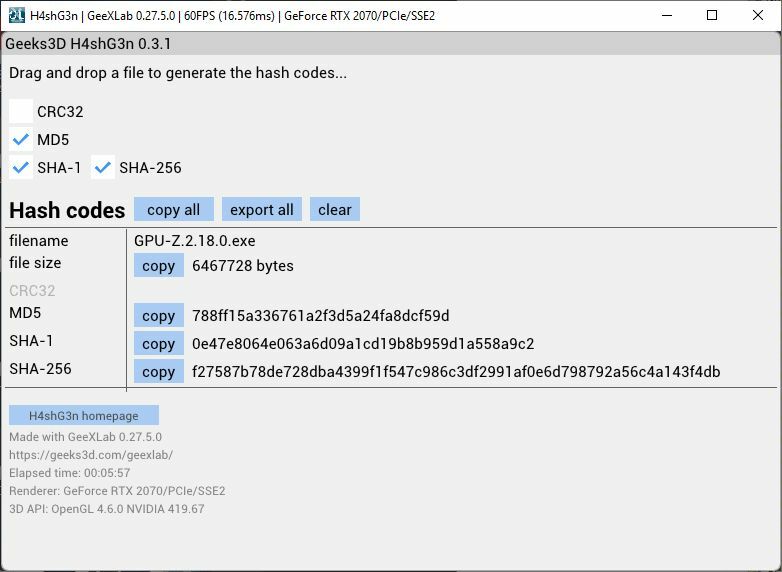 H4shG3n 0.3.1 has been updated with latest GeeXLab binaries (those of GeeXLab 0.27.5.0). Just tested and it looks like an appending issue. I will fix it asap.